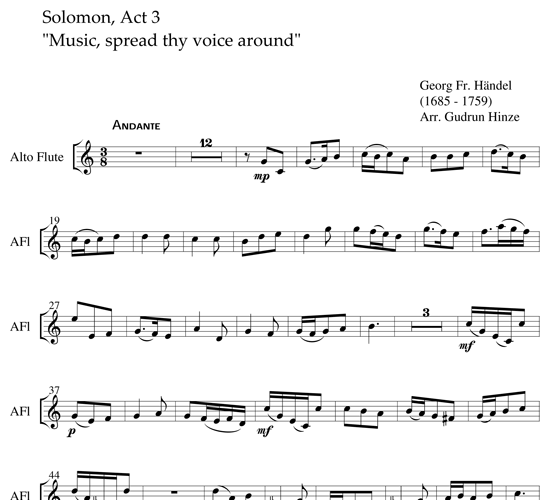 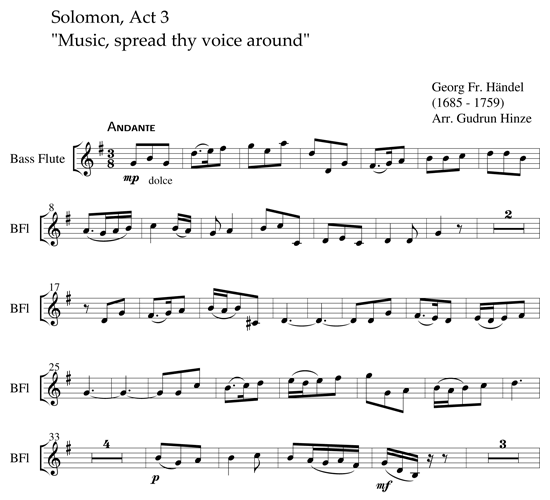 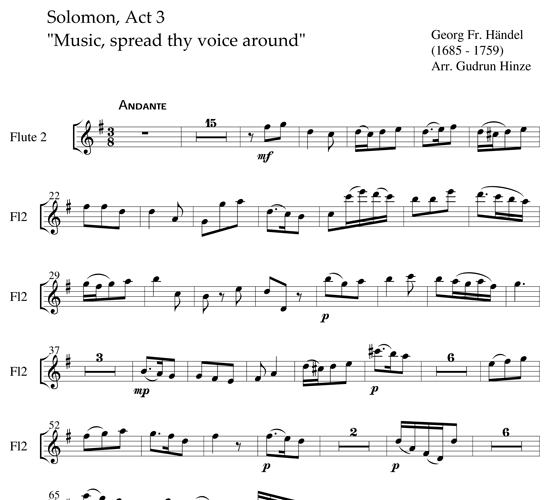 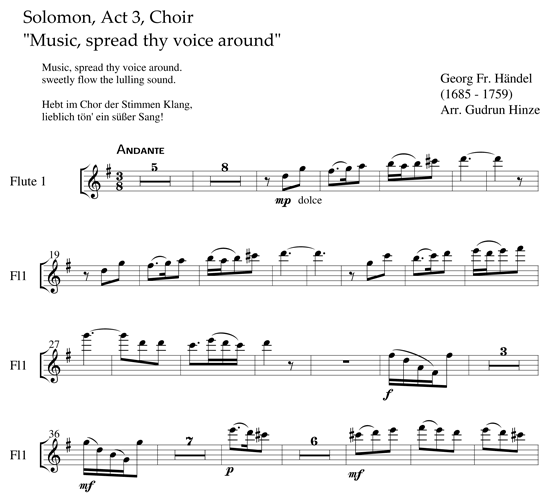 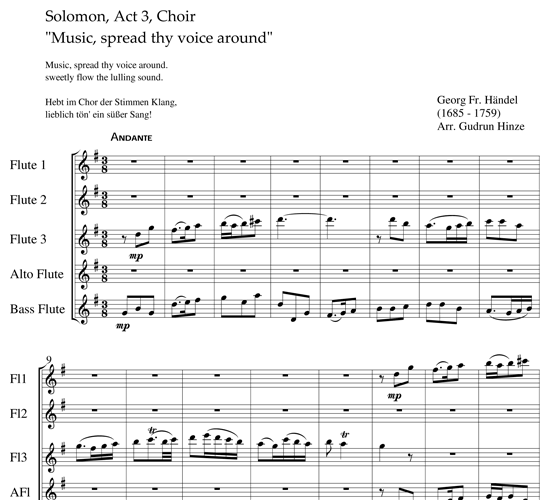 Handel's oratory “Solomon” features this libretto in Act 3, when the choir is meant to depict the sweet lulling sound of music. 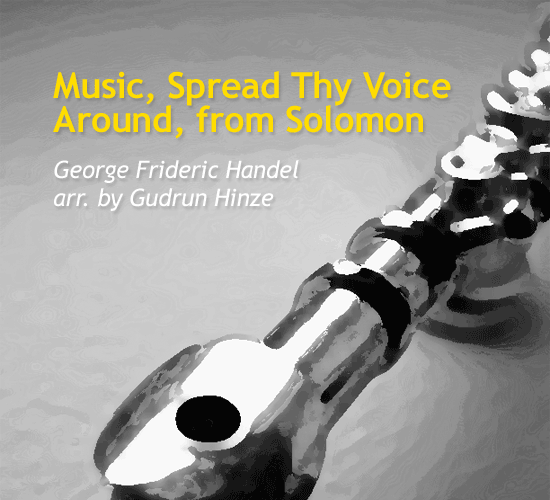 It is part of a big feast when the Queen of Sheba visits the king. 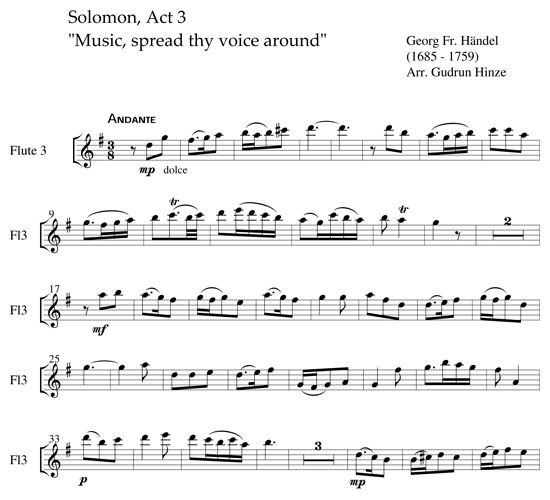 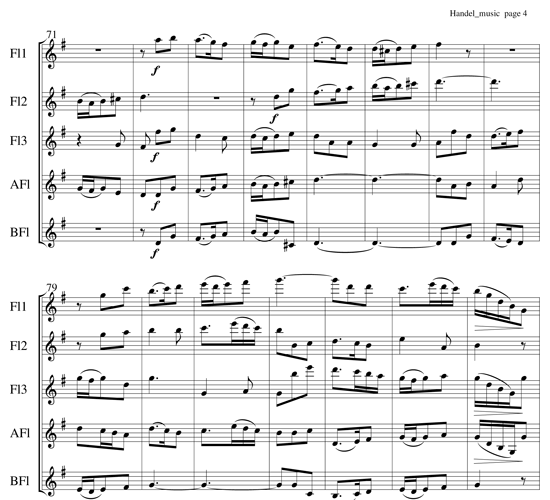 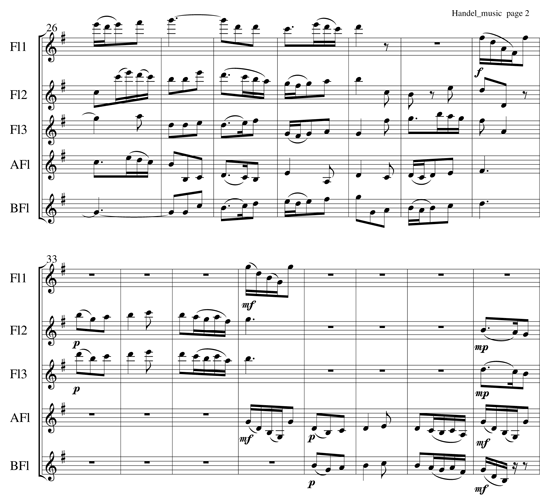 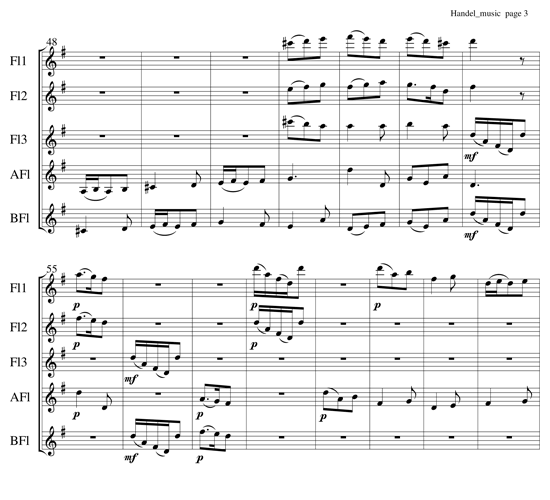 The music flows calmly in the style of a siciliano and is a little gem that easily complements other selections of a flute choir presentation.